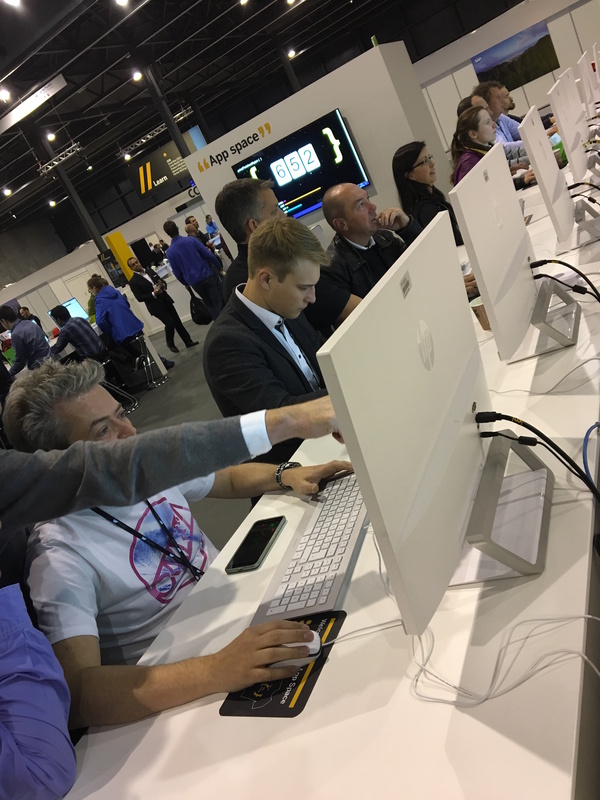 If you were at SAP TechEd in Barcelona this year, you may have noticed that a few staff members had a little extra pep in their steps. This was all thanks to their new SAP kicks! These shoes were the talk of the town! 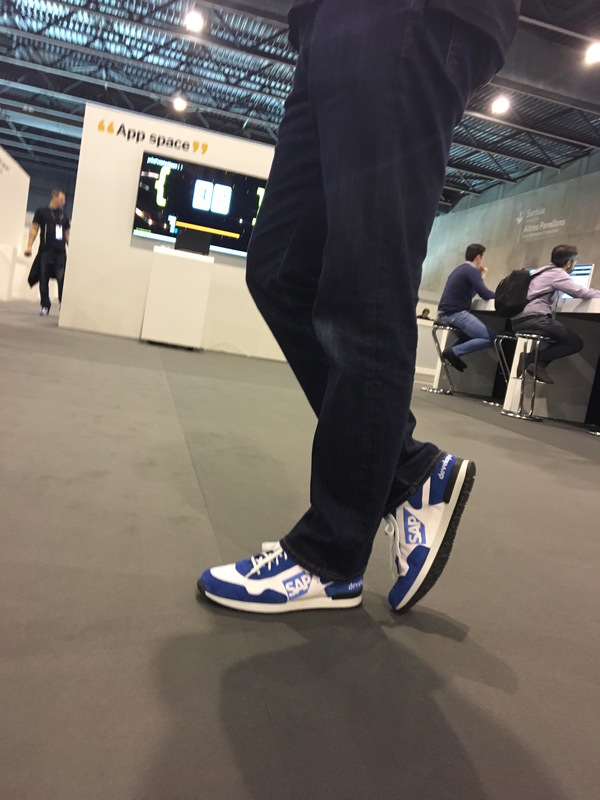 And if you followed a wearer of the snazzy SAP shoes, you probably ended up in the AppSpace on the Show Floor. This was my third and final TechEd of the year, and I have to say that each event shows me more and more that there is a great SAP community out there in the world! I am amazed at how many show up to the App Space and are so curious and want to learn more. I heard from people about how the App Space helped them understand what their developers are doing, or they were talking about how much fun it was to be able to code and learn more about some technologies that haven’t had time to play around with. The spirit of curiosity in the community is so inspiring! Speaking of inspiring, did you watch the DemoJam demos on the 1st night? I am continuously amazed at what a team of 5 or less can develop in 30 hours! 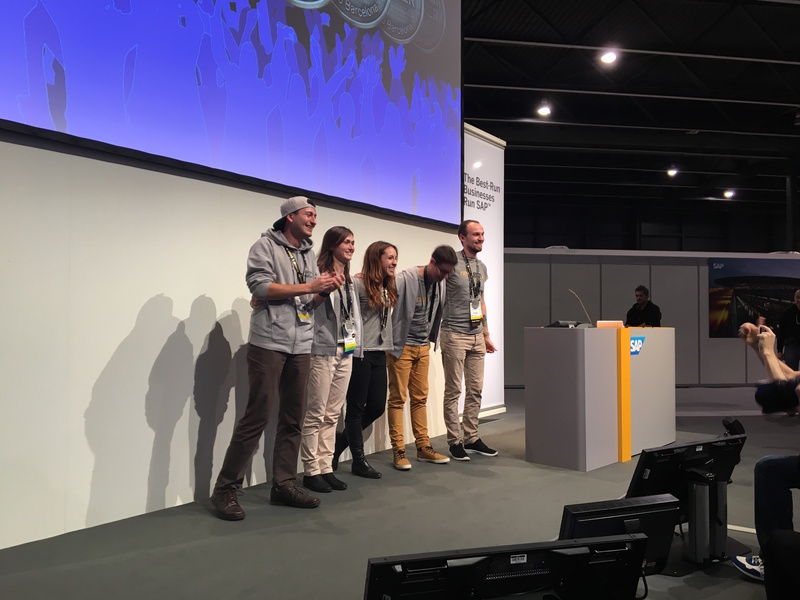 We gave the teams tough challenges during InnoJam, and the solutions from the Finalists were inspirational at DemoJam. Congratulations to the DemoJam winners, UniBuddy! In the end, it was a great 3 days on the Show Floor in the App Space, with over 2700 tutorials being completed! That beats our goal of 2000 and the final total from Las Vegas TechEd! 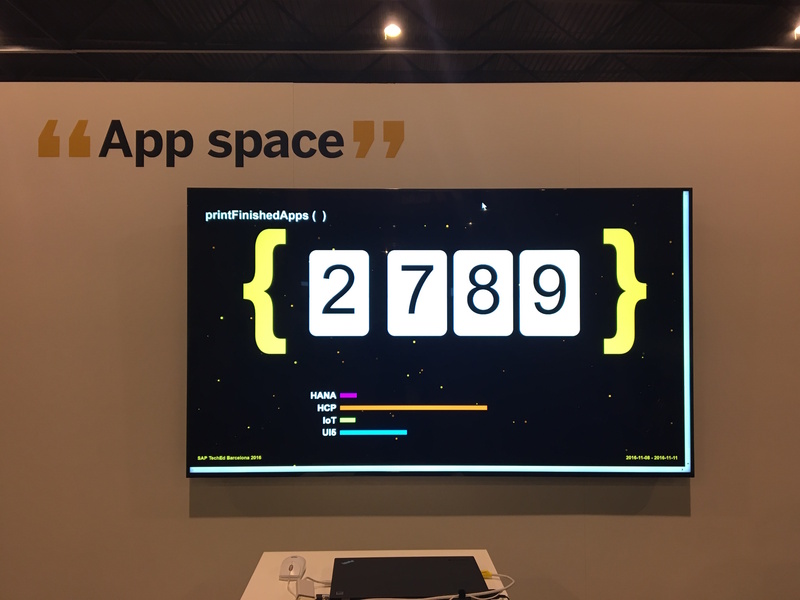 Thank you to everyone who came out to the App Space during a TechEd event! It was a joy to meet all the attendees and hopefully help teach you a little something you didn’t know about SAP and our technologies! Even though TechEd is over, the learning does not have to stop! If you want to keep learning and completing more tutorials, take a look at our tutorial site on the Developers page. There’s always new content popping up there! That shoes are awesome and I would love to own a pair. So here’s my suggestion. Why not start a contest on the most liked recap of teched and ship one?